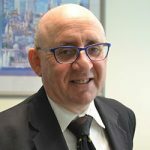 Leon Gettler, Wednesday, 9th May 2018 - While Scott Morrison’s third budget has focused on low and middle income earners with its tax cuts, it is quite clear that the welfare sector is the big loser. Leon Gettler, Wednesday, 9th May 2018 - A revenue windfall ahead of the looming general election has seen the government burnish its economic credentials by forecasting a $2.2 billion surplus in fiscal 2020. Leon Gettler, Monday, 30th May 2016 - Research conducted for NFP beyondblue has found more than six million working days are lost per year as a result of depression. Freelance journalist Leon Gettler looks at why a mentally healthy workplace is good for business, in this article first published in Blue Notes.